Italy-based rider Juliana Buhring, the current women’s round-the-world record holder, looks set to beat most of the men who started the Quick Energy TransContinental Race as she closes on Istanbul 11 days after setting out from London. Five riders have now finished the TransContinental, and only three - Rimas Grigenas from Lithuania, Australian Edward Jones and New Zealander Nicholas Pusinelli - are currently ahead of Ms Buhring. Mikko Makipaa is taking a dramatically different route from the others and may just edge them out. Belgian Kristof Allegaert was the first rider to reach Istanbul from of the 31 riders who set out from Westminster Bridge in London at 8am on August 3. His time of 7 days 13 hours and 45 minutes was substantially faster than pre-race expectations and set a benchmark thats sure to be a target in future editions of the event. Riders had to pass through just two checkpoints on their journey between London and Istanbul. 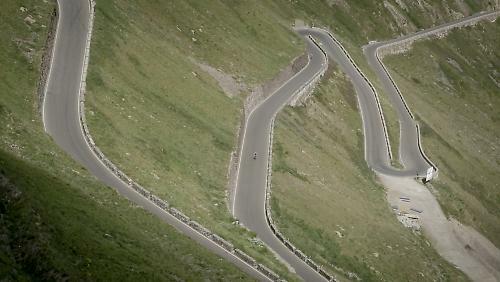 As long as they reached the top of the Kappelmuur in Geraardsbergen, Belgium, and the top of Italy’s Stelvio pass, riders were free to choose any route across Europe that they liked. Second-placed rider Richard Dunnett from the United Kingdom kept pace with Allegaert over many stretches and followed a similar route but lost time due to navigational errors that was not recoverable. He reached the finish line at the Ottoman Fortress 26 hours later and was met by Allegaert. The pair are enjoying the hospitality of the Turkish Tourism and Culture Office, while they await the rest of the riders. Australian Matt Wilkins was third, in 9:09:39, followed by the UK's Edward Pickup (9:16:42) and James Jordan (10:06:18). 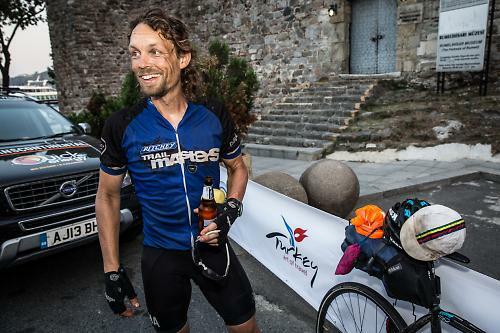 At the time of writing, Rimas Grigenas about 40km from Istanbul, and expected to be the sixth rider across the line. Australian Anthony Hawke seems to feel the same. “Starting to feel the need to finish this @transconrace thing,” he tweeted earlier today. Like all the TransContinental riders, they are out there completely without support, relying on what they can buy along the way or carry themselves. The sheer difficulty of the task has meant some of the 30 riders who started from London have dropped out but are still riding, having decided to switch from race mode to very lightweight touring. That’s been satisfying for race organiser Mike Hall, winner of last year’s round-the-world race. “We wanted the front end of the race to be an exciting battle and a demonstration of endurance and thanks to some very talented riders starting, we have seen truly remarkable finish times so far that have exceeded our expectations,” said Mr Hall. 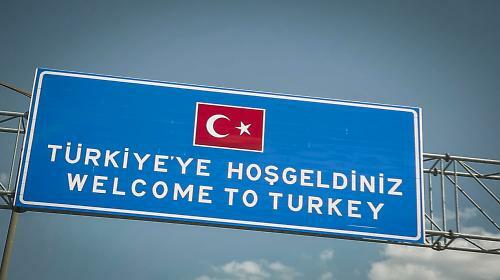 A welcome sight, not far from Istanbul.